If you’re like me, the day does not begin until I have had my cup of coffee. Whether it be the aroma, the caffeine, or the wake up signal to my digestive system, my body craves coffee from the moment I rise from my evening slumber. Over the years, there have been mixed reviews about whether or not this common habit was helping or harming us. However, a recent report has found that coffee may actually help you live longer. The only exceptions to these positive findings include some studies of unfiltered forms of coffee. French press or espresso, which contain the substances cafestol and kahweol, may slightly increase cholesterol levels. However, the decreased risk of many health conditions seems to outweigh such negative findings. A 2015 study found that consumption of the beverage is linked to an approximate 8 to 15 percent reduction in risk of death, with more benefits linked to those who drank more. In addition, a June 2016 report by the World Health Organization removed coffee from its list of potentially carcinogenic foods. lower risk of cancers of the prostate, endometrium, skin and liver. decreased risk of type 2 diabetes and better insulin and blood glucose control. decreased risk of liver disease, gout, and gallstones. Lower incidence of cognitive conditions such as dementia, Parkinson’s, depression, and Alzheimer’s. The health benefits of decreased heart disease and diabetes risk have been linked to the antioxidant effect of chlorogenic acid. Also, the coffee lipids cafestol and kahweol have been linked to possible lower risk of certain cancers and liver disease. Researchers are not sure of the exact component of the beverage that provides the most health benefits. Also, there is no solid proof that coffee lowers risk of any disease. 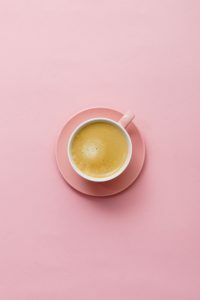 However, the link between decreased incidence of death and coffee intake is suggested to be a good enough reason to add a bit of the beverage to your daily routine. Besides drinking coffee, there are many small things you can do each day to help improve your quality and quantity of life. Eat a fiber-rich diet of fruits and vegetables. Sounds simple enough, but unfortunately just 12-percent of Americans actually eat the suggested 2 cups each of fruits and vegetables each day. Not only do these types of foods contain digestive-friendly fiber, but also contain phytonutrients. Phytonutrients have been found to provide many anti-inflammatory benefits that have been found to help lower risk of chronic disease. Stop smoking and lower alcohol intake. Any substance that your body sees as a toxin will put strain on a your health. Smoking in particular constricts blood vessels, therefore increasing risk of heart disease. On the other hand, alcohol can put a strain on your liver since it will have to work extra hard to filter this toxin from your body. Reduce stress and get plenty of sleep. Stress can affect sleep and lack of sleep can be stressful. Therefore, it is important to manage one to help the other. Relaxation breathing, yoga, or talking to someone can help you manage stress. For sleep, talk to your doctor about specific medications or supplements, such as melatonin, that may help you catch some more Z’s. Take vitamins and supplements daily. If you are not getting enough nutrients from the food you eat, a vitamin and supplement regimen may help. A recent study in China has found a potential link between the health of the gut and longer life. A probiotic supplement daily, such as Biovia 30X by Vita Sciences, may help improve diversity of gut bacteria in your body and promote improved digestive health and immune support.